With the loss of so much information, I had put together a basic overview for climate change that might be of interest. 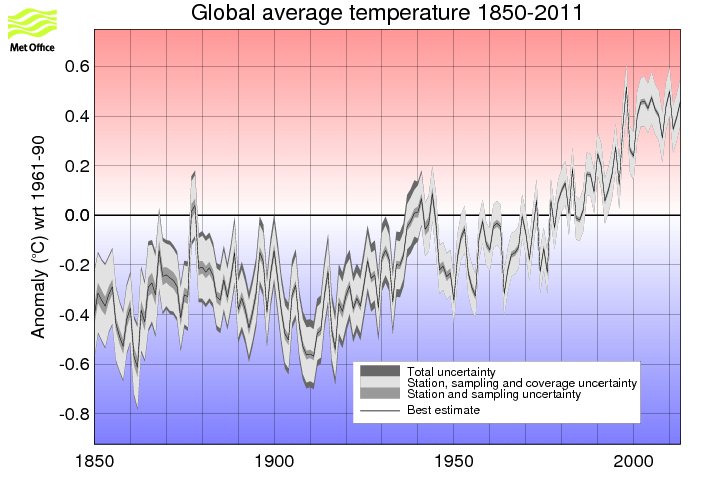 The correlation between CO2 and temperature. The correlation not causation as there are several error bars not included in the graph. The time scale is estimated from a base starting point, which can be off by several hundred years either way. The specific timescale is also subject to deviation from the estimated time due to the extreme nature of the scale. 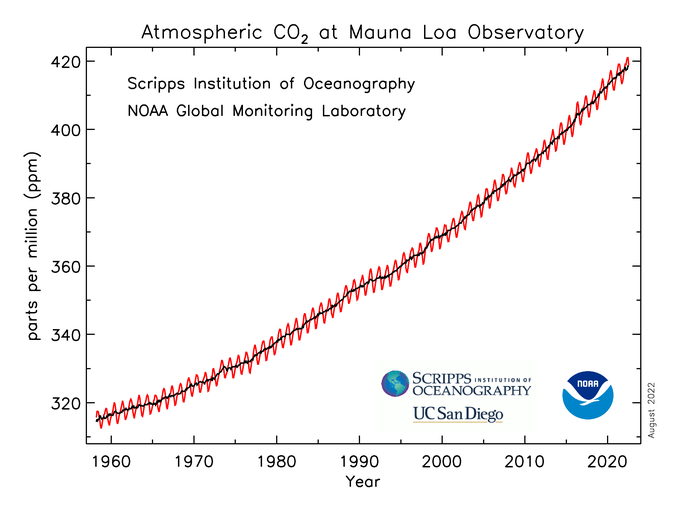 The recent CO2 concentration increase in the atmosphere. 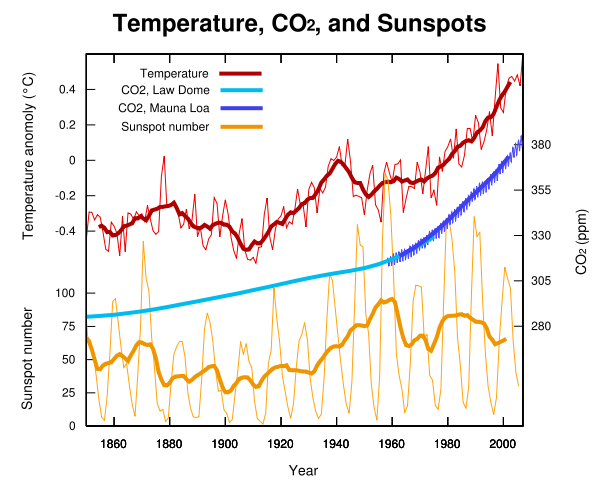 The Hockey-stick graph Northern Hemisphere reconstruction. The large grey lines indicate the range of expected error as the timeframe extends back. Any reconstruction will result in the shape noted due to the steep rise in temperature in the more recent past. 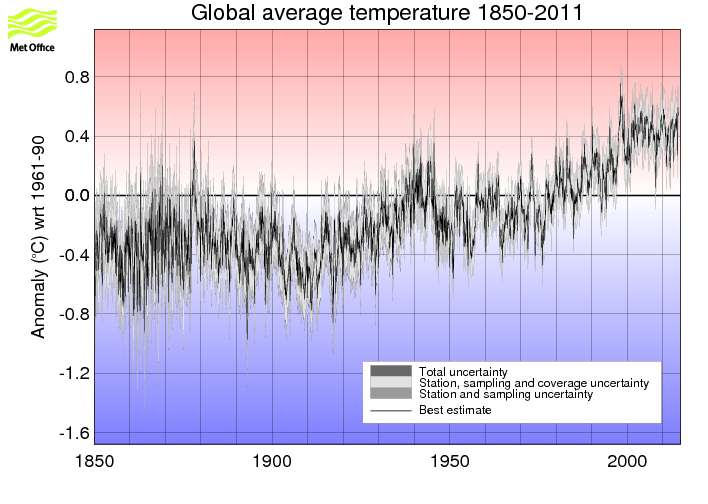 The most current temperature graph for satellite measurements through May 2011. The timeline error bar question is moot in this example. The temperature with error bars. Good stuff, Wayne! Well done!